The Community Planning and Development Commission (CPDC) reviewed a new site plan for 258-262 Main Street on November 5. The previous plan, a four-story office building was deemed by the developer, Reading CRE Ventures, to be economically inviable at this point in time. The new plan is for an 8,092 square foot one-story structure with four retail locations. The plan includes a parking lot with thirty-three spaces and use of the already existing curb cut on Main Street. The building would have one loading space and be located with a ten-foot setback from the north lot line, which is adjacent to a residential property. An eight-foot wooden fence would be erected on the north property line for privacy purposes. Attorney Chris Latham, speaking for the developer, noted that the new design included a greater percentage of landscaped area, despite having a larger footprint than the previous plan. He also asked the CPDC to consider waiving a traffic study for the property. CPDC chair, Nicholas Safina, while stating an understanding of the economics, expressed concern over the design of the building. “It looks like a strip mall.” Safina declared. Residents on Pinevale Avenue also expressed concern over how close the new building would be to the residential properties to its north. 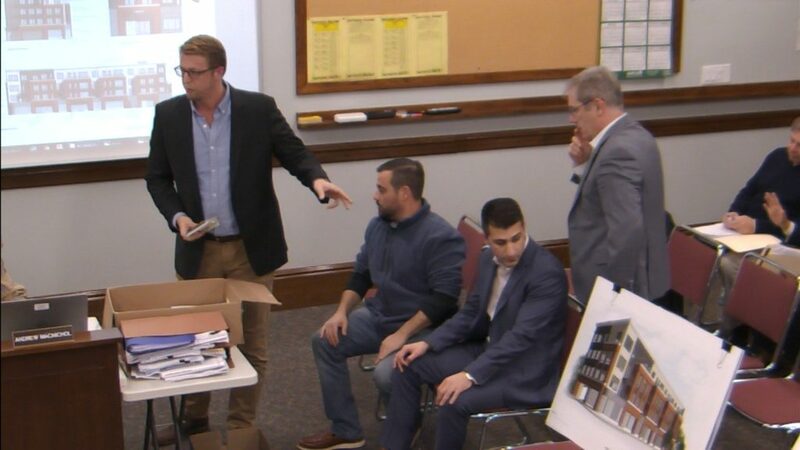 The CPDC offered some design considerations for the developer and continued the hearing to December 10 at 7:45 pm. 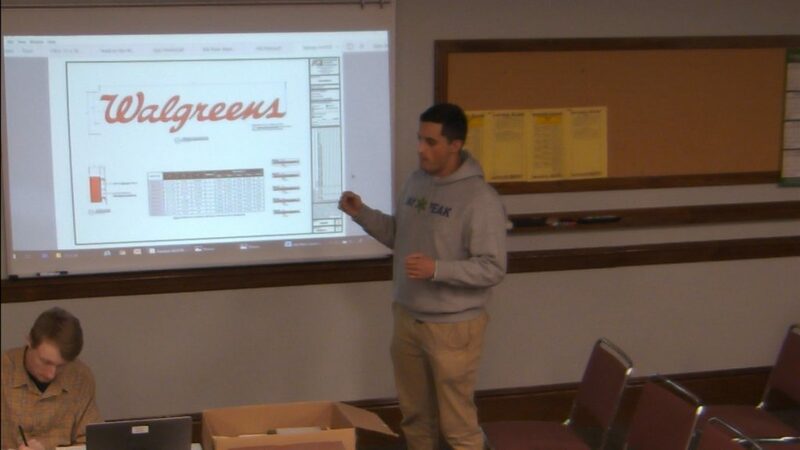 CPDC also voted 4-1 to approve the site plan review for a new clubhouse at the Meadowbrook Golf Club on Grove Street. The new structure will replace the current clubhouse at the golf course. While a few residents still questioned the need for 200 seats in the club, the commission chose not to change the already-negotiated draft decision. Several residents also expressed concerns regarding noise from the outside decks at the new club. 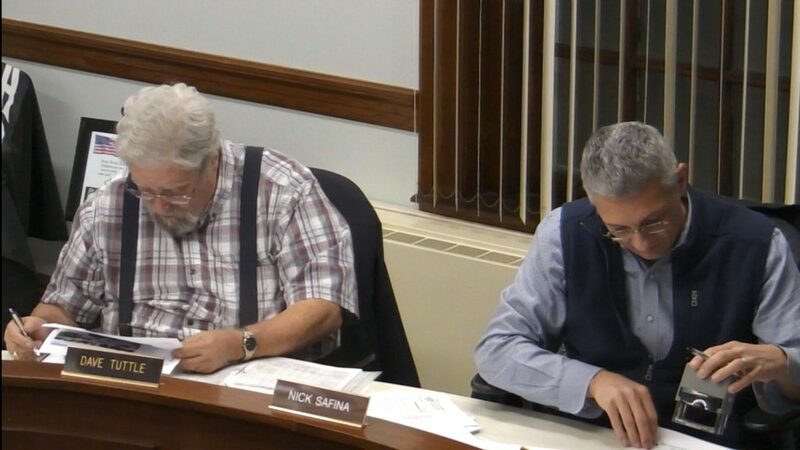 Questions regarding parking on Grove Street also persisted, but Community Development Director Julie Mercier advised that parking restrictions on the street were a matter for the Select Board and that CPDC had no authority to impose them. The board also voted 5-0 to waive a traffic study for the site. 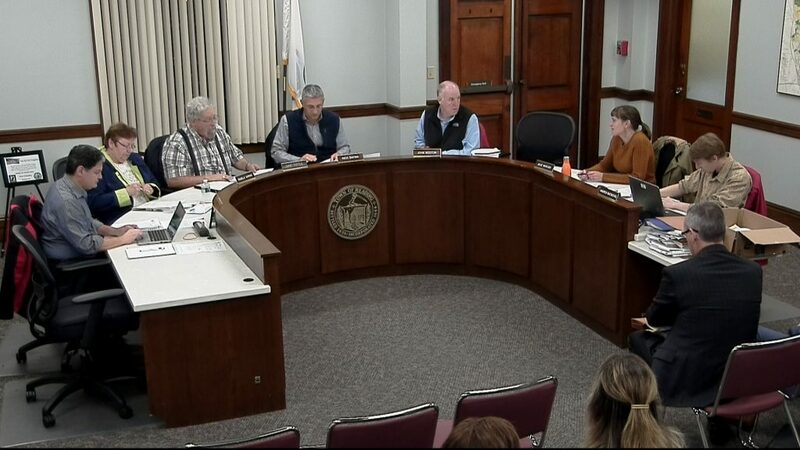 The commission reviewed sample materials for the new development at 467 Main Street and voted 5-0 to approve a certificate of appropriateness for a new sign at 13 High Street, Tread on the Mill. A new master sign plan was presented for the M.F. Charles building on Main Street. When the master plan was originally approved, the assumption was that the second and third floors of the building were going to be residential, thus needing no signage. What has transpired is that several businesses have occupied those floors instead and are seeking to have signage presence over their entrance on Main Street and also potentially on Haven Street. Final changes to the plan will be presented to the CPDC for approval at a later date. CPDC also voted 5-0 to approve new non-illuminated signage for 15 Bolton Street, the Rite Aid pharmacy, which is being converted into a Walgreens. Discussion centered around the revelation that the former sign seems to have had internal illumination, which is not allowed under the bylaw, and that apparently no variance for the sign was ever issued. Safina reminded the applicant that a variance would be required if the new signs were to be illuminated. There was also discussion regarding the size of the sign for the drive-through. CPDC’s vote amended the proposal, reducing the size of the sign by fifty percent. The scheduled hearing of updates at Johnson Woods was continued to December 10. The CPDC adjourned at 10:45 pm.